For other uses, see Freedom House (disambiguation). 1850 M Street NW, Suite 1100 Washington, D.C. It describes itself as a "clear voice for democracy and freedom around the world", although critics have stated that the organization is biased towards US interests. The organization was 66% funded by grants from the U.S. government in 2006, a number which has increased to 86% in 2016. The reliance on US funding has been acknowledged as "a problem" within Freedom House, but accepted as a "necessary evil". The organization's annual Freedom in the World report, which assesses each country's degree of political freedoms and civil liberties, is frequently cited by political scientists, journalists, and policymakers. Freedom of the Press and Freedom of the Net, which monitor censorship, intimidation and violence against journalists, and public access to information, are among its other signature reports. Freedom House was incorporated October 31, 1941.:293 Among its founders were Eleanor Roosevelt, Wendell Willkie, Mayor Fiorello La Guardia, Elizabeth Cutter Morrow, Dorothy Thompson, George Field, Herbert Agar, Herbert Bayard Swope, Ralph Bunche, Father George B. Ford, Roscoe Drummond and Rex Stout. George Field (1904–2006) was executive director of the organization until his retirement in 1967. Freedom House had physical form in a New York City building that represented the organization's goals. A converted residence at 32 East 51st Street opened January 22, 1942,:293 as a centre "where all who love liberty may meet, plan their programs and encourage one another". Furnished as a gift of the Allies, the 19-room building included a broadcasting facility. After the war, as its website states, "Freedom House took up the struggle against the other twentieth century totalitarian threat, Communism ... The organization's leadership was convinced that the spread of democracy would be the best weapon against totalitarian ideologies." Freedom House supported the Marshall Plan and the establishment of NATO. Freedom House also supported the Johnson Administration's Vietnam War policies. Freedom House was highly critical of McCarthyism. During the 1950s and 1960s, it supported the Civil Rights Movement in the United States and its leadership included several prominent civil rights activists—though it was critical of civil rights leaders such as Martin Luther King, Jr. for their anti-war activism. It supported Andrei Sakharov, other Soviet dissidents, and the Solidarity movement in Poland. Freedom House assisted the post-Communist societies in the establishment of independent media, non-governmental think tanks, and the core institutions of electoral politics. In 1967, Freedom House absorbed Books USA, which had been created several years earlier by Edward R. Murrow, as a joint venture between the Peace Corps and the United States Information Service. Since 2001, Freedom House has supported citizens involved in challenges to the existing regimes in Serbia, Ukraine, Kyrgyzstan, Egypt, Tunisia and elsewhere. The organization states, "From South Africa to Jordan, Kyrgyzstan to Indonesia, Freedom House has partnered with regional activists in bolstering civil society; worked to support women's rights; sought justice for victims of torture; defended journalists and free expression advocates; and assisted those struggling to promote human rights in challenging political environments." However, the organization has been criticized for bias in favor of US-backed and/or right-wing regimes (see #criticism). For instance, it labeled both apartheid in South Africa and most military dictatorships in Latin America (e.g. Somoza in Nicaragua, Pinochet in Chile, the Revolutionary Government Junta of El Salvador and all Guatemalan juntas except that of Efraín Ríos Montt) as "partly free". Alternative, non-partial classifications have produced significantly different results from those of the FH for Latin American countries. Freedom House is a nonprofit organization with approximately 150 staff members worldwide. Headquartered in Washington, D.C., it has field offices in about a dozen countries, including Ukraine, Hungary, Serbia, Jordan, Mexico, and also countries in Central Asia. Freedom House states that its Board of Trustees is composed of "business and labor leaders, former senior government officials, scholars, writers, and journalists". All board members are current residents of the United States. Members of the organization's board of directors include Kenneth Adelman, Farooq Kathwari, Azar Nafisi, Mark Palmer, P.J. O'Rourke and Lawrence Lessig, while past board-members have included Zbigniew Brzezinski, Jeane Kirkpatrick, Samuel Huntington, Mara Liasson, Otto Reich, Donald Rumsfeld, Whitney North Seymour, Paul Wolfowitz, Steve Forbes and Bayard Rustin. According to the Freedom House Financial Statement 2016, Freedom House "was substantially funded by grants from the U.S. Government", with grants from the United States government accounting for approximately 86% of revenue. In its 2017 and 2018 financial statements, Freedom House once again disclosed that it "was substantially funded by grants from the U.S. Government." In 2017, the organization received $29,502,776, 90% of its total revenue that year, from the US government. In 2018, the US government gave Freedom House $35,206,355, or 88% of its annual revenue. Countries highlighted in blue are designated "electoral democracies" in Freedom House's 2017 survey Freedom in the World, covering the year 2016. In its 2003 report, for example, the United Kingdom (judged as fully free and democratic) got a perfect score of a "1" in civil liberties and a "1" in political rights, earning it the designation of "free." Nigeria got a "5" and a "4," earning it the designation of "partly free," while North Korea scored the lowest rank of "7-7," and was thus dubbed "not free." Nations are scored from 0 to 4 on several questions and the sum determines the rankings. Example questions: "Is the head of state and/or head of government or other chief authority elected through free and fair elections? ", "Is there an independent judiciary? ", "Are there free trade unions and peasant organizations or equivalents, and is there effective collective bargaining? Are there free professional and other private organizations?" Freedom House states that the rights and liberties of the survey are derived in large measure from the Universal Declaration of Human Rights. The country and territory ratings were proposed by the analyst responsible for each related report. The ratings were reviewed individually and on a comparative basis in a series of six regional meetings—Asia-Pacific, Central and Eastern Europe and the Former Soviet Union, Latin America and the Caribbean, Middle East and North Africa, Sub-Saharan Africa, and Western Europe—involving the analysts, academic advisors with expertise in each region, and Freedom House staff. The ratings were compared to the previous year's findings, and any major proposed numerical shifts or category changes were subjected to more intensive scrutiny. These reviews were followed by cross-regional assessments in which efforts were made to ensure comparability and consistency in the findings. Many of the key country reports were also reviewed by the academic advisers. The annual survey, which provides analytical reports and numerical ratings for 196 countries and territories in 2011, continues a process conducted since 1980. The findings are widely used by governments, international organizations, academics, and the news media in many countries. Countries are given a total score from 0 (best) to 100 (worst) on the basis of a set of 23 methodology questions divided into three subcategories: legal environment, political environment, and the economic environment. Assigning numerical points allows for comparative analysis among the countries surveyed and facilitates an examination of trends over time. Countries scoring 0 to 30 are regarded as having "Free" media; 31 to 60, "Partly Free" media; and 61 to 100, "Not Free" media. The ratings and reports included in each annual report cover events that took place during the previous year, for example Freedom of the Press 2011 covers events that took place between January 1, 2010 and December 31, 2010. The study is based on universal criteria and recognizes cultural differences, diverse national interests, and varying levels of economic development. The starting point is the smallest, most universal unit of concern: the individual. The survey uses a multilayered process of analysis and evaluation by a team of regional experts and scholars, including an internal research team and external consultants. The diverse nature of the methodology questions seeks to encompass the varied ways in which pressure can be placed upon the flow of information and the ability of print, broadcast, and internet-based media to operate freely and without fear of repercussions. The report provides a picture of the entire "enabling environment" in which the media in each country operate. Degree of news and information diversity available to the public is also addressed. Starting in 2009 Freedom House has produced nine editions of the report. There was no report in 2010. The reports generally cover the period from June through May. Today's American: How Free? : a special report which examines whether Americans in 2008 were sacrificing essential values in the war against terror, and scrutinizes other critical issues such as the political process, criminal justice system, racial inequality and immigration. Freedom House is a member of the International Freedom of Expression Exchange, a global network of more than 80 non-governmental organizations that monitors free expression violations around the world and defends journalists, writers and others who are persecuted for exercising their right to freedom of expression. Freedom House also publishes the China Media Bulletin, a weekly analysis on press freedom in and related to the People's Republic of China. On 27 August 2013, Freedom House released their official iPhone app, which was created by British entrepreneur Joshua Browder. In 2006, the Financial Times reported that Freedom House received funding by the State Department for 'clandestine activities' inside Iran. According to the Financial Times, "Some academics, activists and those involved in the growing US business of spreading freedom and democracy are alarmed that such semi-covert activities risk damaging the public and transparent work of other organisations, and will backfire inside Iran." one part that we do know thus far is that the U.S. government, through the U.S. Agency for International Development (USAID), granted millions of dollars to the Poland-America-Ukraine Cooperation Initiative (PAUCI), which is administered by the U.S.-based Freedom House. PAUCI then sent U.S. Government funds to numerous Ukrainian non-governmental organizations (NGOs). This would be bad enough and would in itself constitute meddling in the internal affairs of a sovereign nation. But, what is worse is that many of these grantee organizations in Ukraine are blatantly in favor of presidential candidate Viktor Yushchenko. Noam Chomsky and Edward S. Herman have criticized the organization for excessively criticizing states opposed to US interests while being unduly sympathetic to regimes supportive of US interests. For example, Freedom House described the Rhodesian general election of 1979 as "fair", but described the Southern Rhodesian 1980 elections as "dubious", and it found El Salvador's 1982 election to be "admirable". It also supported Ronald Reagan's labeling of the 1984 Nicaraguan general election as fraudulent, despite international observers concluding that they were free and fair. In May 2001, the Committee on Non-Governmental Organizations of the United Nations heard arguments for and against Freedom House. Representatives of Cuba said that the organization is a U.S. foreign policy instrument linked to the CIA and "submitted proof of the politically motivated, interventionist activities the NGO (Freedom House) carried out against their Government". They also claimed a lack of criticism of U.S. human rights violations in the annual reports. Cuba also stated that these violations are well documented by other reports, such as those of Human Rights Watch. Other countries such as China and Sudan also gave criticism. The Russian representative inquired "why this organization, an NGO which defended human rights, was against the creation of the International Criminal Court?." Russia, identified by Freedom House as "Not Free", called Freedom House biased and accused the group of serving U.S. interests. Sergei Markov, an MP from the United Russia party, called Freedom House a "Russophobic" organization: "You can listen to everything they say, except when it comes to Russia ... There are many Russophobes there". In response, Christopher Walker, director of studies at Freedom House, argued that Freedom House made its evaluations based on objective criteria explained on the organization's web site, and he denied that it had a pro-U.S. agenda. "If you look closely at the 193 countries that we evaluate, you'll find that we criticize what are often considered strategic allies of the United States," he said. Daniel Treisman, a UCLA political scientist, has criticized Freedom House's assessment of Russia. Treisman has pointed out that Freedom House ranks Russia's political rights on the same level as the United Arab Emirates, which, according to Freedom House, is a federation of absolute monarchies with no hint of democracy anywhere in the system. Freedom House also ranks Russia's civil liberties on the same scale as those of Yemen. In Yemen, according to the constitution, Sharia law is the only source of legislation, and allows assaults and killings of women for alleged immoral behaviour. Criticising the president is illegal in Yemen. Treisman contrasts Freedom House's ranking with the Polity IV scale used by academics and in which Russia has a much better score. In the Polity IV scale, Saudi Arabia is a consolidated autocracy (-10), while the United States is a consolidated democracy (+10); Russia has a score of +5, while United Arab Emirates has a score of -8. Craig Murray, the British ambassador to Uzbekistan from 2002 to 2004, wrote that the executive director of Freedom House told him in 2003 that the group decided to back off from its efforts to spotlight human rights abuses in Uzbekistan, because some Republican board members (in Murray's words) "expressed concern that Freedom House was failing to keep in sight the need to promote freedom in the widest sense, by giving full support to U.S. and coalition forces". Human rights abuses in Uzbekistan at the time included the killing of prisoners by "immersion in boiling liquid," and by strapping on a gas mask and blocking the filters, Murray reported. Jennifer Windsor, the executive director of Freedom House in 2003, replied that Murray's "characterization of our conversation is an inexplicable misrepresentation not only of what was said at that meeting, but of Freedom House's record in Uzbekistan ... Freedom House has been a consistent and harsh critic of the human rights situation in Uzbekistan, as clearly demonstrated in press releases and in our annual assessments of that country". According to one study, Freedom House's rankings "overemphasize the more formal aspects of democracy while failing to capture the informal but real power relations and pathways of influence ... and frequently lead to de facto deviations from democracy." States can therefore "look formally liberal-democratic but might be rather illiberal in their actual workings". From the 1970s until 1990, Raymond D. Gastil practically produced the reports on his own, though sometimes with help from his wife. Gastil himself described it in 1990 as "a loose, intuitive rating system for levels of freedom or democracy, as defined by the traditional political rights and civil liberties of the Western democracies." Regarding criticisms of his reports, he said: "generally such criticism is based on opinions about Freedom House rather than detailed examination of survey ratings". In a 1986 report on the methodology used by Gastil and others to create Freedom in the World report, Kenneth A. Bollen noted some bias but found that "no criticisms of which I am aware have demonstrated a systematic bias in all the ratings. Most of the evidence consists of anecdotal evidence of relatively few cases. Whether there is a systematic or sporadic slant in Gastil's ratings is an open question". In a later report by Bollen and Pamela Paxton in 2000, they concluded that from 1972 to 1988 (a specific period they observed), there was "unambiguous evidence of judge-specific measurement errors, which are related to traits of the countries." They estimated that Gastil's method produced a bias of 0.38 standard deviations (s.d.) 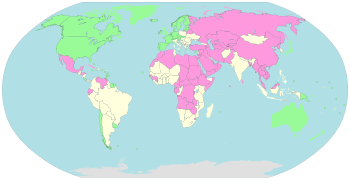 against Marxist–Leninist countries and a larger bias, 0.5 s.d., favoring Christian countries. In 2001, a study by Mainwaring, Brink, and Perez-Linanhe found the Freedom Index of Freedom in the World to have a strong positive correlation (at least 80%) with three other democracy indices. Mainwaring et al. wrote that Freedom House's index had "two systematic biases: scores for leftist were tainted by political considerations,[how?] and changes in scores are sometimes driven by changes in their criteria rather than changes in real conditions". Nonetheless, when evaluated on Latin American countries yearly, Freedom House's index was positively correlated with the index of Adam Przeworski and with the index of the authors themselves. However, according to Przeworski in 2003, the definition of freedom in Gastil (1982) and Freedom House (1990) emphasized liberties rather than the exercise of freedom. He gave the following example: In the United States, citizens are free to form political parties and to vote, yet even in presidential elections only half of U.S. citizens vote; in the U.S., "the same two parties speak in a commercially sponsored unison". A 2014 report by comparative politics researcher Nils D. Steiner found "strong and consistent evidence of a substantial bias in the FH ratings" before 1988, with bias being reflected by the relationships between the US and the countries under investigation. He writes that after 1989 the findings weren't as strong, but still hinted at political bias. Sarah Sunn Bush was critical of Freedom House in 2017, writing that many critics found the original pre-1990 methodology lacking. While this improved after a team was hired in 1990, she says some criticism remains. As for why the Freedom House index is most often quoted in the United States, she notes that its definition of democracy is closely aligned with US foreign policy. US-allied countries tend to get better scores than in other reports. However, because the report is important to US lawmakers and politicians, weaker states seeking US aid or favor are forced to respond to the reports, giving the Freedom House significant influence in those places. Bush shows in her report that its ideology has long reflected that of the people who are most involved in US foreign policy, and that liberal democracy was the main form of democracy that was considered. The FITW index focuses primarily on individual freedoms, as US politicians do, but little on egalitarian concerns. The claim that American politics play a role is supported by the relatively low FITW scores given to Russia and other post-Soviet states since the end of the Cold War, as well as to Sandinistan-led Nicaragua, but relatively high scores to the El Salvador military junta. At the same time, Bush found that the House's archive showed that they never debated marking Israel as anything less than "free" despite calls from many sources in the region to do so. I want to thank Freedom House for all the incredible work that they do to assist human rights defenders around the world. We rely a lot on Freedom House not only for information, advice and counsel, but also for their testimony when we do our hearings. And I'm a big fan. Freedom House has unwaveringly raised the standard of freedom in evaluating fascist countries, Communist regimes, and plain old, dictatorial thugocracies. Its annual rankings are read and used in the United Nations and other international organizations, as well as by the U.S. State Department. Policy and aid decisions are influenced by Freedom House's report. Those fighting for freedom in countries lacking it are encouraged or discouraged by what Freedom House's report covers. And sometimes—most importantly—their governments are moved to greater effort. ^ a b c d e f g h "Our Board and Staff". freedomhouse.org. ^ a b "Freedom House" (PDF). Foundation Center. Retrieved April 4, 2017. ^ William Ide (January 11, 2000). "Freedom House Report: Asia Sees Some Significant Progress". Voice of America. Archived from the original on October 14, 2012. Retrieved October 13, 2012. ^ a b c "FINANCIAL STATEMENTS Year Ended June 30, 2016 AND INDEPENDENT AUDITORS' REPORT" (PDF). Freedom House. During the year ended June 30, 2016, the Organization was substantially funded by grants from the U.S. Government. Reduction of funding from the U.S. Government would have a significant impact on the operations of the Organization. ^ "Cuba After Fidel – What Next?". Voice of America. October 31, 2009. Archived from the original on October 14, 2012. Retrieved October 13, 2012. ^ "Financial Statements" (PDF). Freedom House. June 30, 2016. Retrieved November 27, 2017. ^ Andrea Czepek; Melanie Hellwig (March 1, 2009). Press Freedom and Pluralism in Europe: Concepts and Conditions. Intellect Books. ISBN 978-1-84150-297-7. Freedom House is sometimes accused of having a pro-American bias (for example UN 2001) – not least because more than three quarters of the NGO's resources derive from federal grants of the US government (Freedom House 2007a: 24). ^ Sally Engle Merry; Kevin E. Davis; Benedict Kingsbury (May 26, 2015). The Quiet Power of Indicators: Measuring Governance, Corruption, and Rule of Law. Cambridge University Press. ISBN 978-1-107-07520-7. Fund-Raising Difficulties, Government Funding, and the Appearance of Bias. By the mid-1990s, Freedom House had come to rely heavily on US government funding. The appearance of bias due to government funding was recognized as a problem, not just by outside critics but also within the walls of Freedom House. It was ultimately accepted as a necessary evil ... The organization was no doubt influenced by its biggest donor, the US government, at least indirectly ... By the 1990s, Freedom House appears to have accepted dependence on government funding as a necessary evil. Increasingly through the end of the period of archived materials in 2007, government funding supplied the lion's share of Freedom House's operating budget. ^ James T. Bennett. Tax-Funded Politics. Transaction Publishers. ISBN 978-1-4128-3557-2. This gang of socialists turned neo-conservatives has become, more or less, a government agency ... By its own admission, Freedom House promotes an agenda that includes "U.S. engagement in international affairs," a euphemism for a hyper-interventionism. ^ a b United Press (January 11, 1942). "Freedom House Will Open Soon". Waterloo Sunday Courier. Waterloo, Iowa. ^ "Program Reviews: The Voice of Freedom". The Billboard. 54 (15): 8. April 11, 1942. Retrieved March 22, 2015. ^ a b c d Giannonea, Diego (2010). "Political and ideological aspects in the measurement of democracy: the Freedom House case". Democratization Volume 17, Issue 1. pp. 68–97. ^ "Our Board and Staff". Freedom House. ^ "Freedom House Financial Statement 2017". Freedom House. Archived from the original (PDF) on March 6, 2019. Retrieved March 6, 2019. ^ "Freedom House Financial Statement 2018". Freedom House. Archived from the original (PDF) on March 6, 2019. Retrieved March 6, 2019. ^ "Scores and Status Data 1980–2015". Freedom of the Press 2015. Freedom House. Retrieved June 12, 2015. ^ a b Freedom of the Press 2011 – Methodology", Karin Karlekar, Freedom House, April 15, 2011, 4 pp. ^ a b "Freedom on the Net 2014" (PDF). Freedom House. Retrieved December 14, 2014. ^ a b "Freedom on the Net 2015" (PDF). Freedom House. October 2015. Retrieved December 27, 2015. ^ a b "Freedom on the Net 2016" (PDF). Freedom House. October 2016. Retrieved March 25, 2018. ^ a b "Freedom on the Net 2017" (PDF). Freedom House. October 2017. Retrieved March 25, 2018. ^ a b "Freedom on the Net 2018" (PDF). Freedom House. November 2018. Retrieved November 1, 2018. ^ "Freedom at your Fingertips: Freedom House Releases iPhone App". Retrieved January 11, 2016. ^ Ron Paul. "U.S. Hypocrisy in Ukraine". Archived from the original on December 12, 2012. ^ Treisman, Daniel (2011). The Return: Russia's Journey from Gorbachev to Medvedev. Free Press. pp. 341–52. ISBN 978-1-4165-6071-5. ^ Jennifer Windsor (December 23, 2007). "Freedom House's Record". The New York Times. Archived from the original on October 14, 2012. Retrieved October 13, 2012. ^ a b Veenendaal, Wouter P. (January 2, 2015). "Democracy in microstates: why smallness does not produce a democratic political system". Democratization. 22 (1): 92–112. doi:10.1080/13510347.2013.820710. ISSN 1351-0347. ^ Gastil, R. D. (1990). "The Comparative Survey of Freedom: Experiences and Suggestions". Studies in Comparative International Development. 25 (1): 25–50. doi:10.1007/BF02716904. ^ Bollen, K.A., "Political Rights and Political Liberties in Nations: An Evaluation of Human Rights Measures, 1950 to 1984", Human Rights Quarterly, vol. 8, no. 4 (November 1986), pp. 567–91. Also in: Jabine, T.B. and Pierre Claude, R. (Eds. ), Human Rights and Statistics, University of Pennsylvania Press, 1992, pp. 188–215, ISBN 0-8122-3108-2. ^ Mainwaring, S.; Brinks, D.; Pérez-Liñán, A. B. (2001). "Classifying Political Regimes in Latin". Studies in Comparative International Development. 36 (1): 37–65. doi:10.1007/BF02687584. ^ Przeworski, Adam (2003). "Freedom to choose and democracy". Economics and Philosophy. 19 (2): 265–79. CiteSeerX 10.1.1.570.736. doi:10.1017/S0266267103001159. ^ Steiner, N. D. (2016). Comparing Freedom House democracy scores to alternative indices and testing for political bias: Are US allies rated as more democratic by Freedom House?. Journal of Comparative Policy Analysis: Research and Practice, 18(4), 329-349. Wikimedia Commons has media related to Freedom House.